A famous statement from the Spider Man films, and one that I think sums up a lot of the human potential/performance situations we see in work. Many of us have acquired experience, which when matched with developed skill and application of those abilities in delivering great outcomes gives us power. Situational, hierarchical or social power. It is with that in mind that I think about the use of power. How do we yield our “power-base”? Especially in a profession all about the people and the good things we need people to do in pursuit of organisational or business goals to make successful enterprises and the thus make the “world go ’round”. Power can be corrupting. Alpha Male syndrome can be protective and destructive yet power can be brilliant. It can push us to achieve what we didn’t even know we could achieve. Power in this instance is the power of someone with something to offer, sharing that with someone who needs that something, in order to help them build their power-base. Increase their effectiveness. Confidence boosted. Options created. Energy generated. So that’s why I’ve decided to give what I have to the CIPD’s “Steps Ahead Mentoring” programme. I am matched and waiting for my collaborator to come back to me and arrange our first chat. Young people. That group of people who happen to be born before a lot of us and who are now venturing from being educated and prepared to being productive and purposeful about their work. Work being the key society enabler in civilisation, economic prosperity and personal satisfaction. It’s easy to think “someone else will be better at this than me” or “where will I find the time to help someone younger?” Yet here’s an example that happened to me which made a huge difference in my life and work-related success. Rewind to 2000. I had just been successful in securing one of the biggest jobs in my entire career. Part of a huge IT-based programme of business improvement and change. I was more excited than you can imagine. Yet tinged with excitement came huge self-doubt. I was suddenly thrust into a situation with revered academics. Big-hitting business leaders. Experts. Established society leaders and people with brains bigger than planets. Luckily I had a wise boss. Someone I knew a little before I joined and we set about looking at what value I could add to his work; our work; the work. He was, and I bet still is, someone who’s intellect could captivate any meeting/presentation and who’s gentle and calm delivery would have people leaning in and tuned in. I was NONE of those in my mind. Energetic, informed and passionate was – to me – nowhere near what was required to hold court on the controversial, far-reaching and much-needed topics we were there to deliver on. And yet he saw something in me – potential perhaps – that he wanted to work with. He was clever enough not to clone me into him. He instead gave me measure, balance, calmness, insight, belief. Belief being the biggest one. He and I double headed presentations and speeches; workshops and meetings and generally became a double act. We complemented each other. Gradually, as his workload changed and I was more confident, he stepped back. Sometimes he cancelled at late notice. I took it that he believed I could do it and so I got on with it. He then just handed the entire game over to me. He believed in me. He helped me believe in myself. I felt enabled, empowered and enlightened. So it’s this BELIEF that I am most looking forward to helping create in my mentee (duff word but has come to be the term we use). Belief is a powerful thing. It’s the antidote to overconfidence which is where trouble begins. Belief is the key to outstanding human endeavours. It is the crucible factor in us stepping up where others have either messed up or exited swiftly. Belief is where ideas are given life and drive. Belief is where we can be humble yet confident. Belief is where we go to when we have moments of doubt. Belief is our energy cell that props us up when the other chemicals like adrenalin and dopamine are spent. Believe in a better future? Then build that with those who are going to live there when we’ve moved on. That’s “young people” by the way. Cue George Benson/Whitney Houston “Greatest Love Of All”…well that’s got to be better than being a “Belieber” right? So here I am at CIPD’s HR in SMEs Conference on 13 May 2013 in London. Dr Jill Miller, who lead on this “first in research” with SMEs around HR/people management practices and the link to performance and growth got us started.p A beautiful sunny day and a packed room. Peter Cheese as CEO of the CIPD, gave an opening keynote which really rammed home why this research was so necessary and so overdue. 99.9% of businesses are small to medium enterprises. WHAT? that is staggering. Only .1% are those behemoth organisations we hear so much about. So there is clearly a huge market of people (14.1 million) who work in the SME environment yet, as Peter Cheese says, the HR models and practice seems geared to larger organisations and so why on earth would SMEs grapple with this and make good on their employment law and so on? So the relevance of the CIPD to SMEs is something he believes in fiercely. Those SMEs that are helping take up the slack from the larger organisations for employment of skilled people across the UK. Peter highlighted a continuing of the research and a chance to pick up and drive HR and learning practice in SMEs to fuel this drive in employment and performance growth. One of the pioneering organisations that were involved in the research Jill Miller led on was Cougar Automation. Clive Hutchinson the MD came to talk to his fellow SME leaders. Firstly Clive started well with a slide that had some people in unconventional dress and poses. As you watching corporate video users? This said more to me about his company than a 3 minute slick film. Bring yourself to work Clive said. Great way to start. Clive then gave a humble account of how he changed the way Cougar Automation works and feels. For a start, he was influenced by Derek Williams of the WOW awards. Derek’s simple but effective take on how to deliver exceptional customer experience hit Clive and he brought Derek in along with his principles to shape the Cougar plan/strategy. This simplicity was coupled with Clive’s discovery of the Marcus Buckingham and Donald Clifton book, “Now Discover Your Strengths”. Reading this book not only changed his view on himself, but also he thought that others would benefit from a “review of themselves”. So he bought books, and put out a call that a free book was in reception, all he wanted was a download of what they found out about themselves. And the something marvellous happened. People discovered they were under using strengths. They were doing things they struggled with and needed some help to get some traction on. People even volunteered themselves up as being in the wrong role. Very quickly, they saw an increase in satisfaction from customers and clients. They saw their profits and successes multiply. And they saw people being more bothered about want they did. It is literally that simple. Self discovery; action based on that and then continued focus on their strengths was a recipe for successful people management practices and not, as Clive admitted, following the traditional routine of appraisals and reviews. Clive has asked his people not to recruit to vacancies but to recruit stars. And this way they would grow through the acquisition of stars. Recognising the latter can be taught and has already paid dividends in Cougar Automation. How Clive recruits for attitude based on people aligning to what Cougar stands for not because they have a technical skill. What I was left with in reviewing Clive’s session was that the simple matter of people discovering where they are at their best is lost in most places, but is the key element to Cougar Automation driving their business, making their customers happy and building a great place to work. The Godfather and #PunkHR – Hack 2: A confessional – poor performers – accept it is our fault and fix it. and I mean this respectfully – he became the #ConnectingHR Seth Godin (who blogs here). Why is that you might ask? Well, for me Neil became our Seth with this blog because he cleverly put a few words out with a HUGE resonance. So huge that every HR blogger out there should pick up their drafting shoes and get blogging about this. Poor performers – it’s our fault. And it is. Now I know HR has performed a lot of self-flagellation in its recent past. I entered the profession officially around 2003 and it was a stark realisation I’d not expected. I doubted I would be popular by being in HR but the disdain, the licking of wounds and the acceptance of the position took me by surprise. We criticised ourselves over a poor service proposition; beat ourselves up for being out of touch and cried into our skinny lattes over our lack of imagination and inventiveness. Then we said enough is enough and we started to move out of our own shadows and started talking up commerciality; the performance game and organisational effectiveness. We included agendas around talent; business savvy and engagement and yet STILL we haven’t cracked some basic fundamentals. Organisations continually hire the wrong people; promote people who don’t deserve it and then to cover their ineffectiveness restructure and pay people off. It’s not their fault. They have played an imperfect system and gained. We have to hold ourselves to account for a lot of those imperfect systems and processes which just don’t cut it. Our fundamental reason for being is to be the experts helping the organisations we serve get the best of their people and in doing so people get a fair deal back for that. It starts with the best people found in the first place and we are the ones (largely) with carriage and ownership of how we do that. Now what this is NOT is an attack on the recruitment arm of HR. 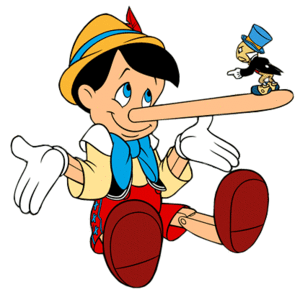 It’s still partly your fault Recruiters – as much as it is all component parts of HR. You know what though? Now is the time to accept that it IS our fault and do something about it. We are not in a position to delay but equally no token, knee-jerk reactions and programmes of HR initiatives. That’s been our playbook up ‘til now and doesn’t seem to have worked and will probably deter our businesses from believing this will be anything different. A four-legged stool or a 2×2 and we’re done for. But different we need. So what do we do? I WISH I had all the answers. I do know though that the current system is just not good enough. Maybe Jean Tomlin’s LOCOG / London 2012 machinery has a lot to offer us – so many people with such diverse backgrounds delivering well? We all know there was the the Army having to come in and bail out the Group4 proposition / issues but even that seemed to work. 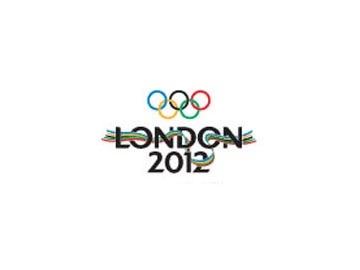 Is what happened throughout London 2012 a replicable model for the workforce of forever and not just for a summer? Maybe Morning Star (HBR Blog here) ; Wholefoods (nice article here) and the Hackmeister @profHamel’s case studies (here) hold the key? They do appear to create a different dynamic in the workplace and have a different method for finding people; hiring them; setting them to be of their best and continuing to thrive in this thing we call work. Maybe we need some seismic shock to force change you might say? Erm, hang on, we’re still mired in the longest recession situation since the Great Depression with more societal and welfare issues than we’ve ever faced before. WE HAVE THAT SEISMIC SHOCK RIGHT WITH US NOW. But we are the frogs in the gradually boiling pan. We are coping; there is hope. Yes there is hope but NOW IS THE TIME TO ACT and Neil’s blog is the perfect place to start. some of the cleverest, most informed and creative thinking and doing HR has ever put its name to. Can we do this? Yes we can. Sorry obligatory Obamaism there. But we can. We have enough people with the requisite skill; experience; insight; drive; zeal; fresh thinking. But they’re not lined up together. We are a disparate group of champions and stalwarts; modest genii and decent hard workers yet we also have some drag on our trajectory from within. Some people drive with the handbrake on or never get out of 3rd gear and all they worry about is speed cameras. I think the @CIPD has already given us a chance/start. The forthcoming Hackathon using Gary Hamel’s infrastructure could see us let all that frustration; ideas; and energy out towards a more collective way to cease the trickle of our own disappointment and stem the tide of our under-appreciation. Why should we do this? Well because we are to blame for poor performers. Yes they have responsibility to perform per the contract they take on in return for pay; but if they see a chance to make a living or are even delusional about their own levels of performance, you cannot blame them for the first “mile” of this experience – so we are responsible for putting them there. We are responsible for not cracking why managers can be the most mediocre and ineffective members of our tribe and we are responsible for not taking ourselves to account and ridding ourselves of our own “drag” factors. Please get on board the Hackathon – it is a chance to get our thoughts straight and now is the time for any and all thinking on how we get the right people in; connecting them to a cause worth working on; and seeing just how fabulous our working lives can be no matter how tedious and menial or complex and stressful the role may appear to be. We need as many hackers, punks and jazz-cats on this as possible; all welcome; just have an attitude, a belief and ideas to share and that’s how we can make things happen. engage in rewards and acknowledgement that gives people’s purpose a sense of legacy and place in the cosmos. 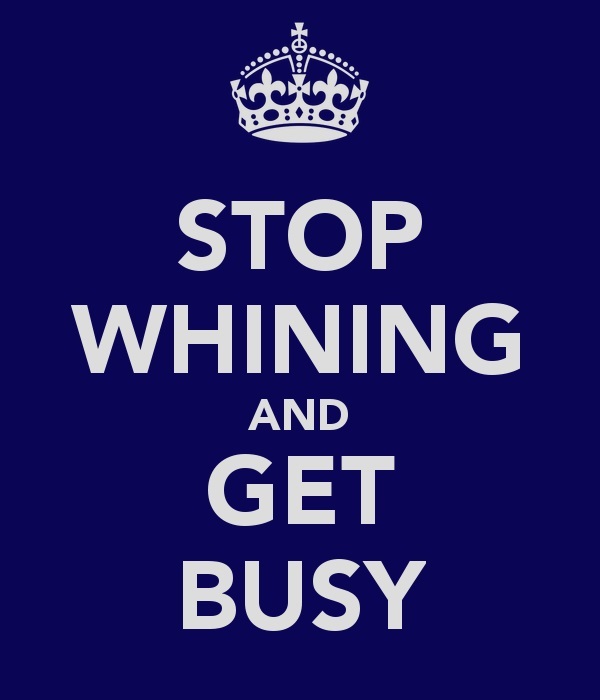 Better stop the whining, get thinking and then crack on eh?